From the terrible tragedy that just occurred in Haiti, to the underprivileged children in Cambodia, back to the streets of Queens NY, we’re without a doubt in need of inspiration. 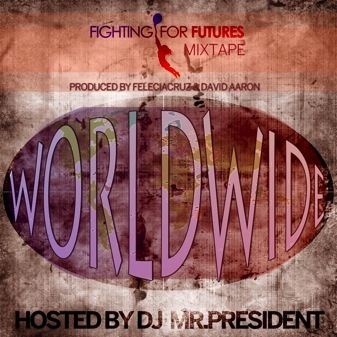 With that said, Eric Sosa provides us with “Dream On” (produced by DL Haskins) which can also be found on the Fighting for Futures mixtape titled Worldwide hosted by DJ Mr. President. Eric Sosa is prepping his second mixtape release Rhyme and Noodles: No Artificial Flavoring Vol. I due out in February. His first mixtape, Let the Pete Rock [Gotta love that wordplay] was released in 2007. 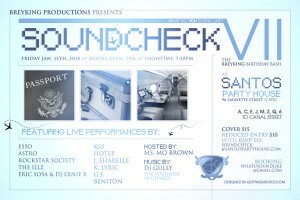 This Friday, Sosa will be performing at Soundcheck VII at Santos Party House (96 Lafeyette Street). The door cover is $15, $10 reduced admission with RSVP to Soundcheck@santospartyhouse.com. Doors open at 7:00 PM and showtime is at 7:30 PM.